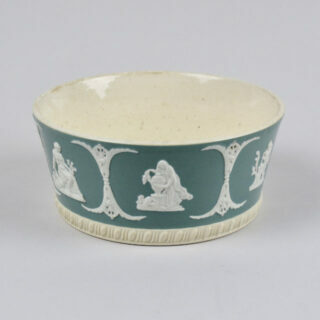 This bowl was made in the Wedgwood style of applied moulded decoration by William Adams & Co. William Adams & Co. were a pottery based in Tunstall Staffordshire and were first established in 1657 and the backstamp that is used on this bowl was first used in c. 1896. 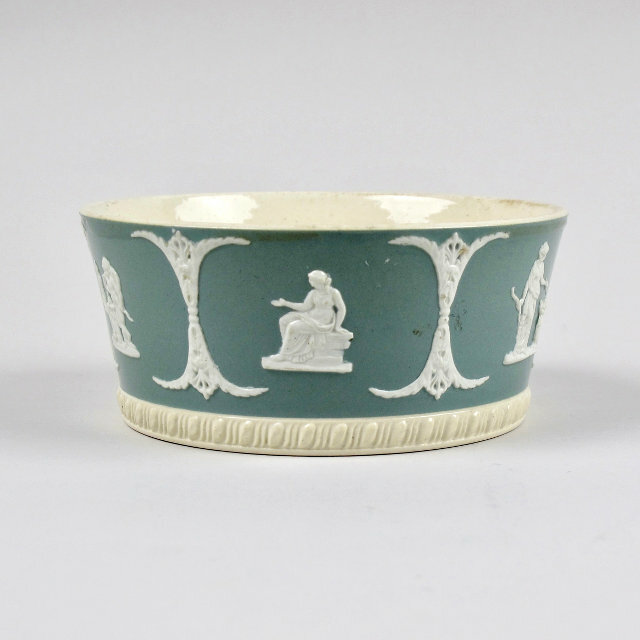 As well as the printed mark it also bears an impressed stamp that reads Adams Tunstall – this impressed mark is generally only found on the jasperware that the company produced. 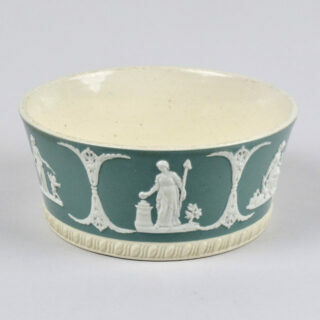 The background glaze colour of this bowl is a lovely soft blueish green unlike the strident blue found on much jasperware. Made from stoneware and probably dating to circa 1910. 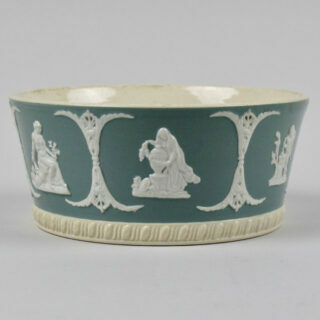 This bowl was made in the Wedgwood style of applied moulded decoration by Adams. William Adams & Co. were a pottery based in Tunstall Staffordshire and were first established in 1657 and the backstamp that is used on this bowl was first used in c. 1896. 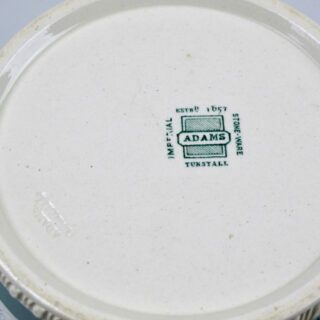 As well as the printed mark it also bears an impressed stamp that reads Adams Tunstall – this impressed mark is generally only found on the jasperware that the company produced.